Are you considering buying a second hand or reconditioned stair lift? Check out our page on the pros and cons and some pricing information on these. Before making your purchase, do make sure that the company you are dealing with is an approved supplier. Approved suppliers often keep a stock of spares and replacement parts in the event that your stair lift needs repairs. The last thing you want is for someone to tell you that it’s going to take 3 weeks to order a part for you. 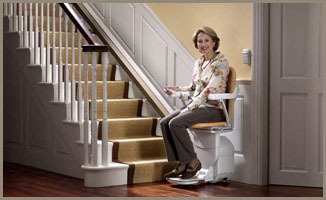 Buying a stair lift can be a life-changing decision, but it can also be an expensive one. For this reason, many people consider purchasing a second hand or reconditioned stair lift. This will certainly be a cheaper option than buying a brand new unit straight from a manufacturer. Whether you opted for a used or new mobility unit you will need to make sure that the models are well supported for spares. You may not have to worry about this if you have signed up for a contract for servicing or some kind of insurance that takes care of parts and labour but these can be a fairly costly consideration. However, there are a few possible disadvantages in purchasing a reconditioned or refurbished stair lift that you should be aware of. For example, you may not be able to get all the latest features and accessories that you would expect from a brand new stair lift. Furthermore, a second hand or refurbished one may come with a shorter warranty than you are likely to get with a brand new one. Much of this depends on the company you deal with. If you negotiate and deal with a good company they often offer at least a 2 year warranty. Also make sure that the supplied stair lift is a reasonably current model. There is no reason to consider outdated makes and models due to the nature of the business, which ensures that relatively new stair lifts are re-cycled quite often. If your stair lift is ex-catalogue and old, spares and replacement parts may be harder to find. This is why it is important to make sure that you deal with a reputable company when you make your purchase. Don’t forget that dealers are required by law to provide a minimum 12 month warranty. You should always be careful to check the warranty terms and conditions and to make comparisons between the terms offered by different dealers. Spares for the most part are available for most makes in excess of 10 years, probably more like 15, and many lifts have common parts. You should ask questions and make sure that the make you opt for has reasonable support to cover the time it’s expected to be needed. Parts can be costly depending on what they are, for instance a circuit board replacement, but due to their reliability it’s not something that goes wrong that often. Some kind of regular maintenance should be considered to keep the lift in tip top condition and lessen the chances of something going wrong. If you have a battery model (a good idea if one has a power cut), do make sure that this has been replaced with a new one in the case of a second-hand model.